Reaping rewards: Jamee Field worked with community members in Tanzania as part of a World Wildlife Fund (WWF) conservation effort. 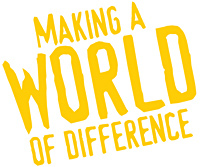 Upon graduation, many Kellogg School alumni find that the world is their oyster. Three years after earning her MBA, Jamee Field '04 found herself working with oysters. At that time Field was considering a career change, and an opportunity arose through her philanthropic work as a member of the World Wildlife Fund (WWF) national council. When a council peer told her that the organization needed business experts at the project level, Field found a new challenge and a WWF project found an experienced champion. Field chose to assist in Tanzania's Mafia Island Marine Park, traveling there in March 2007. The park possesses East Africa's most remarkable coral reefs and is a critical seed bank for marine life. It also offers feeding, breeding and nesting grounds for seabirds, sea turtles and dugongs (a marine mammal). Because the island had long been a staple of the local economy, it became overfished and lost value ecologically and financially. WWF's objective there is to facilitate and develop economic activities that reduce strain on the park's ecosystems by sustainably using its other more abundant resources, such as oysters. Before Field arrived, WWF had trained local fishermen to harvest pearl oysters for jewelry, but the project lacked a leader with business education. Fieldrevamped the jewelry's marketing, sales and construction for sale in area craft fairs and tourist sites. Soon, demand was twice the production. Working on environmental projects was natural for Field, because the importance of conservation became ingrained during family trips to locales like the Galapagos Islands. "There aren't a lot of places left in the world that are truly pristine and beautiful," she says. "I learned the value of having those places." She also adopted her parents' enthusiasm for philanthropy, following in the footsteps of her relative, Marshall Field, founder of the Chicago-based department store that bore his name. 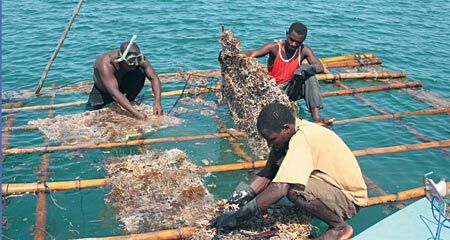 "With environmental work, you have to make sure people can sustain themselves before you can expect them to save the land and animals," says Field, who saw this firsthand in Tanzania, where the oyster farmers now earn more money than they did fishing, and the marine life has a chance to repopulate. In addition to her WWF work, Field spent time in Tanzania assisting the NGO Sea Sense. This organization protects sea turtles and dugongs by educating the community about the animals' significance. "We worked very hard to show that there is an inherent value in the turtles," Field says. Besides being a part of the natural food chain, the animals are tied strongly to tourism. Before Sea Sense, 99 percent of turtles that came ashore to nest were poached, and of the eggs that were laid, only 1 percent hatched. Over the past five years, though, 97 percent of hatched turtles make it to the sea. Field spent five months engaging part of the community that had a nearly 100 percent poaching rate for the eggs and turtles. She met with school groups, trained conservation officers and collected data on which of the turtles and eggs survived. Field, who spent four years working at investment banking firm Donaldson Lufkin & Jenerette before Kellogg, says the work she did in Tanzania was challenging in a new way. "By going to Africa and helping people who were literally dirt poor ... cultivate the nature that they need to live on and help them earn money, I really feel that I've substantially improved someone else's life." Back in the United States, Field now merges her passion for conservation and charity. She works at Arabella Advisors, a consulting group that helps families set up foundations. She also serves as co-chair for the Nature Conservancy of Illinois' capital campaign. Field credits her success to her Kellogg MBA: "It has really changed my perspective on how I look at problems." Her experiences have deepened her connections with the world. "One of my favorite things is getting involved with whatever community I'm in." She serves on the boards for Chicago's Field Museum and Lincoln Park Zoo, and encourages others to do the same because it allows them to have a say in what's going on around them. "A lot of Kellogg alumni are successful; they are incredibly smart, they work hard and do well," says Field. "But once you've hit that success pinnacle, regardless of how you define it, at some point in your life you think: What have I done that is significant?" As part of the WWF program, fishermen learned sustainable employment opportunities, including harvesting oysters.